Big Agnes Mica Basin Camp Chair. The most comfortable 2lb. chair out there, the Big Agnes Mica Basin Camp Chair has a supportive seat and backrest, durable nylon Robic fabric, and sits an easy-to-get-into 14" off the ground. 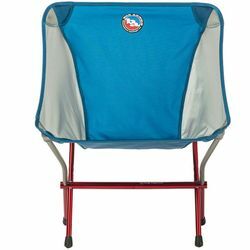 The perfect packable chair to bring along to any camp, concert, picnic, or road-trip adventure.